Best rooftop bathroom in Los Angeles is at Dream Hollywood. As you know, I'm staying at Dream Hollywood (the first US journalist invited), and while it has some pretty stellar views from the rooftop, this bathroom is blowing my mind. 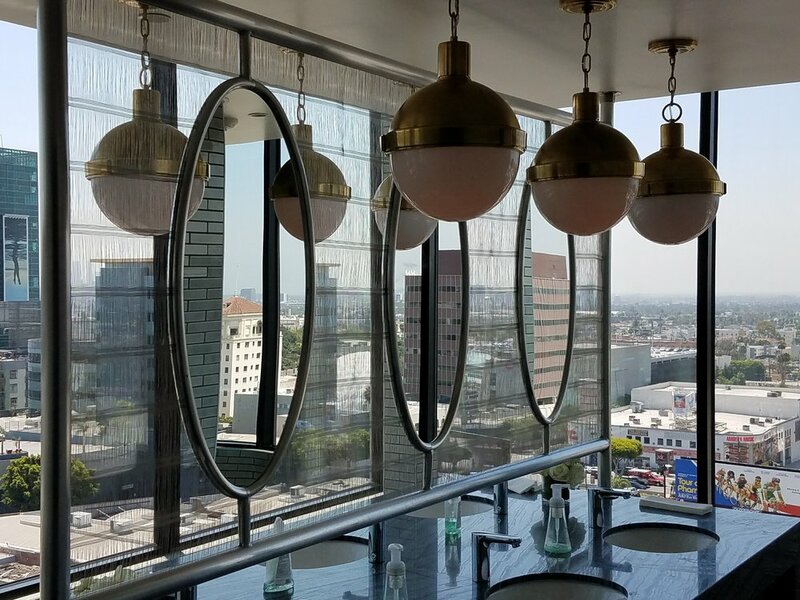 The sprawling LA views are insane, and it's totally tricked out to be a visionary, cool, modern bathroom where I imagine loads of socialites will be taking selfies. We've been up here for about 10 minutes taking photos, haha. I also recommend going to the Highline restaurant, which has direct views of the iconic Hollywood sign.